Today is my golden anniversary for becoming a dietitian. I became a dietitian five years ago on October 5. I wanted to do a special post to celebrate this. 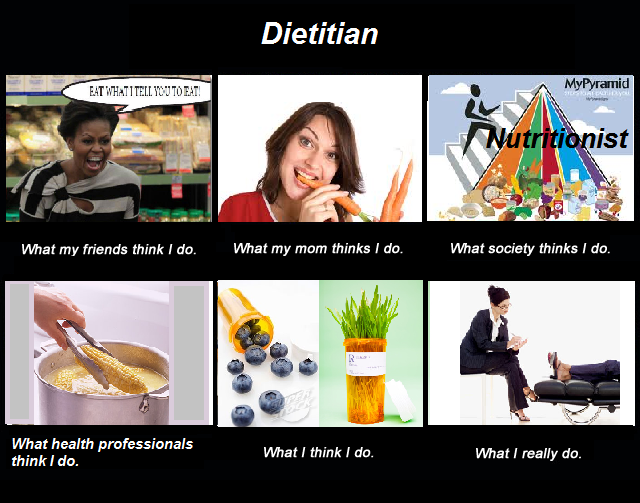 Recently, I’ve had several prospective clients candidly tell me they didn’t know what to expect when seeing a dietitian. I can’t imagine a better way to celebrate my RD-iversery than to open my doors, invite you in, and help you understand what to expect from working with a dietitian. This is how most people think it’s going to go: I’ll give you a calorie recommendation and a meal plan, and then send you on your way. You won’t hear from me again until you get my OUTRAGEOUS bill and cry in the corner while you eat the chocolate cake I forbade you to eat. Sound about right? I, too, want to know what to expect before I go to a new place or have a new experience. I will obsessively search the websites of restaurants before I arrive, what attire is appropriate? Is it kid-friendly? If so, DO THEY SERVE ALCOHOL? Let me illustrate it another way, this year I got my first facial. I thought I approached it with no expectations, because I didn’t have anything to compare it to. Let’s just say it didn’t meet the expectations I didn’t think I had. It wasn’t until after the fact that I realized I was expecting my facial to be like a massage. After a good massage, I feel like I’ve had a workout and napped for 8 hours at the same time. Facials are amazing, but they aren’t a massage, they serve different purposes. Your past experience with a dietitian may be limited to a hospital. Your experience with me will not be like that. You may also have seen a nutritionist or a personal trainer for a weight loss plan; that is also NOT like working with me. Again, those serve different purposes. As dietitians continue to break out of their traditional hospital roles and into the community, many people may wonder what to expect. What questions will we ask, how in depth will we go, how long will the appointment be? I personally think the office I work out of is pretty comfy, maybe even a little homey. You won’t have to sit on an exam table, or shiver in a hospital gown, I won’t poke or prod you. I may refer you on for testing or suggest you see a doctor, and I can’t make any promises they won’t do one of the aforementioned things, but I will not do any of that. Let’s just get something on the table to start with though, I am a medical professional so I may ask you some questions that seem a little weird for a “food person” to ask. I will ask you about your medications, your labs, your menstrual cycle, and likely your bowel habits. The more information you have the quicker and smoother it will go. You may be thinking, I just want to lose 10 pounds why would you want to know about my medical history? There is a reason why you are seeing a dietitian and not following some online diet plan, it’s because you want something personalized and evidence-based and that means I have to know the whole picture. Sometimes people call me a therapist, because I will listen to your problems and try to put the pieces together to solve the puzzle. Food is personal, and food is emotional, or at least we’ve made it that way. Your session is about you. I want to know you and determine what type of interventions are going to work best for you. So just like it may seem weird that we talk about your medical history, I will also ask you about your lifestyle. Who you live with, what type of job you have, if you prefer puppies or kittens? Ok, that may not be a real question, but I do like to really know my clients. This may seem weird at first, because if you are used to your annual (or less than annual physical) with your primary care physician, you may not have a relationship with them at all. This is not true in my practice. I will occasionally work with someone for only one session, but in general nutrition isn’t a one-and-done type of relationship. My initial appointment is usually about 60 minutes. My clients may be seeing me for quite a while and I want you to feel comfortable sharing anything, you never know if it is related or not. Almost every call I receive from clients are desperate ones. They have tried everything, googled every answer and nothing is working. I get it, there is a lot of information out there, how could you, who has a job/family/life have time to sift through it all to make sense of it? In working with a dietitian you are getting someone who has, at a minimum, a 4-year degree in Dietetics and done an approximately one year (or 1200 supervised practice hours) internship. Not to mention, that internship is hard to get into – there’s only about a 50% acceptance rate. After that, all Registered Dietitians have to pass an exam, and from there we have to maintain our credentials through continuing education. As dietitians, we are evidence-based. That means we are taking the science and research and applying it to the field of nutrition. We are in an exciting time as nutrition is taking the forefront of many people’s interest, including researchers. With the help of social media, the research is also reaching the masses at warp speed. That means sometimes the research is still preliminary, or it may reach someone who misinterprets it, sending us all into a frenzy. My favorite example of this warp-speed nutrition research is eggs. When I was in school, which you may remember was only about five years ago, eggs were bad and you shouldn’t have very many because they could elevate your cholesterol. Now, we basically say that eggs are a great inexpensive source of protein that has many nutrients, like choline, that we need. Science and research is changing. It is my job to stay up to date on the most current research and help you navigate what that looks like for you. If you are a vegan, you don’t eat eggs, so knowing about the changing research isn’t helpful to you. Again, the benefits of working with a dietitian is that we work to apply the research to your preferences and lifestyle. There is an extra layer of complexity to nutrition research right now, which is keeping us all on our toes and wondering what to believe. We are just now starting to understand that our genes play a big role in our health. Going back to the eggs, someone with a particular gene may respond negatively to too many eggs, but as a population most people won’t respond negatively to eggs. This makes it increasingly hard to say that one food or food group is “good” or “bad,” because it likely depends on the person. We aren’t a one size fits all profession. Just like your primary care doctor may refer you to an orthopedist for knee problems, or a gastroenterologist for gut issues, most dietitians specialize in something. Nutrition is such a broad field and knowing it all beyond the basics, is beyond my brain capacity at least. Even what you would likely think is the main thing that unites all dietitians, counsel on weight loss, many dietitians don’t do. As a practitioner I mainly focus on gut health, and weight management. Make sure you find a good dietitian who specializes in what you need and meets your personality. If I’m not a right fit for you, I likely can help you find someone who is. I want you to get the help you need and I think a dietitian can do that for you. 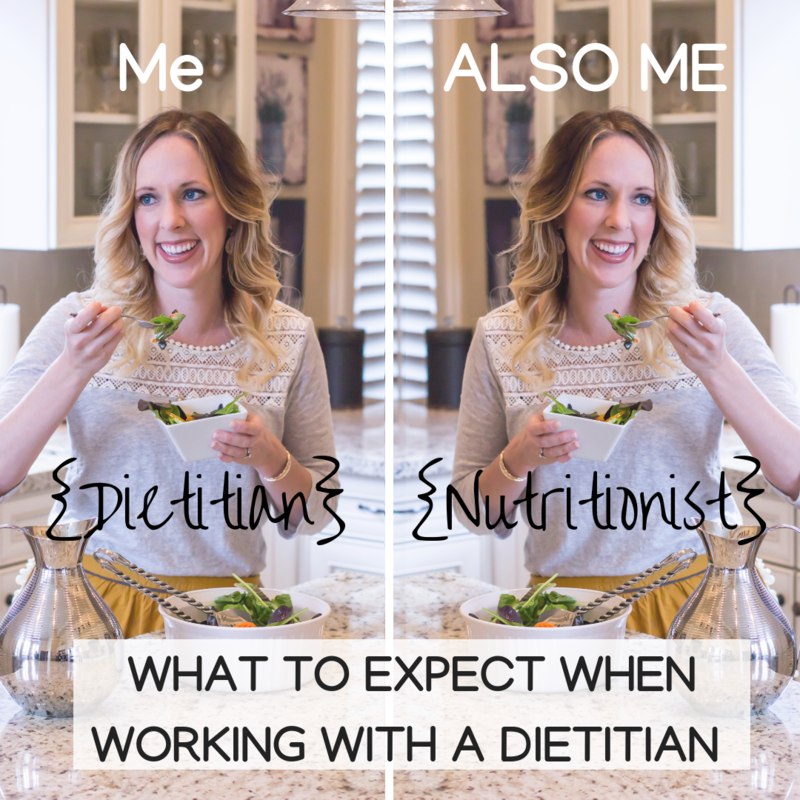 If you are still having trouble determining why a dietitian versus a nutritionist is the right fit for you, just remember that a dietitian is always a nutritionist but a nutritionist isn’t always a dietitian. A good test to use, is to ask the nutritionists that you meet when their RD-iversery is, if you need a reminder, mine is October 5th and I’ll be celebrating!